Why Is My Air Conditioner Hissing? Wonder why you hear that annoying hissing noise coming from your air conditioner? If you hear a hissing or bubbling sound, it’s most likely because your AC has a refrigerant leak. Refrigerant (what many people call Freon, a brand of refrigerant) is an essential part of your AC system; it’s the liquid/gas that actually turns your home’s warm air into cold air. When your air conditioning system is low on refrigerant, your AC can’t cool your home efficiently and you risk damaging your air conditioner. It’s just like having low oil is bad for your car. So you’ll want to fix a refrigerant leak ASAP. So you hear a hissing noise, but what other signs indicate you have a refrigerant leak? Your house takes forever to cool off. Refrigerant absorbs the heat in your home’s air. Without enough refrigerant, your AC won’t absorb enough heat to cool your home’s air, so it will take forever to feel cool indoors. Your supply vents are blowing lukewarm/warm air. Put your hand up to a supply vent. Does it feel warm? Warm air could point to a refrigerant leak. You have higher than normal electric bills. Because your AC system doesn’t have enough refrigerant, it has to work extra hard at cooling your home. An air conditioner that works longer uses more electricity, which makes you have high electric bills. You notice ice buildup on the refrigerant line. Go to your outside AC unit. If you see ice covering the copper refrigerant line, then you may have a refrigerant leak. So let’s say you notice all or some of these signs. What should you do? If you think you have a refrigerant leak, you should contact a professional to repair it for you. Here’s why: Only a certified professional has the proper tools to check for leaks and handle refrigerant, which is a toxic substance (in fact, the law prohibits anyone who isn’t certified from handling the stuff). The most common refrigerant scam is if a tech tells you you’re low on refrigerant, then promptly refills your system without ever mentioning a leak. Here’s the problem with that scenario: almost always, you can’t have low refrigerant without having a leak somewhere. And if you’re hearing a hissing sound, you probably have a pretty severe leak. A fraudulent technician knows that if they constantly refill your refrigerant without addressing the root of the problem (the leak), they’ll be making a lot of money off of you in the coming months. Refrigerant is expensive, sometimes as much as $100 per pound (most ACs need 5+ pounds), so you see how that could add up fast. Here’s the bottom line: If a technician tells you you’re low on refrigerant, always make sure they check for and repair any leaks before they refill your refrigerant. Need an honest Florida professional to fix your refrigerant leak? We’ll send one of our trusted technicians to repair your air conditioner and get your AC up and running in no time. Call with confidence—we have 5-star averages on sites like BBB (Better Business Bureau), Yelp, Google and Facebook. 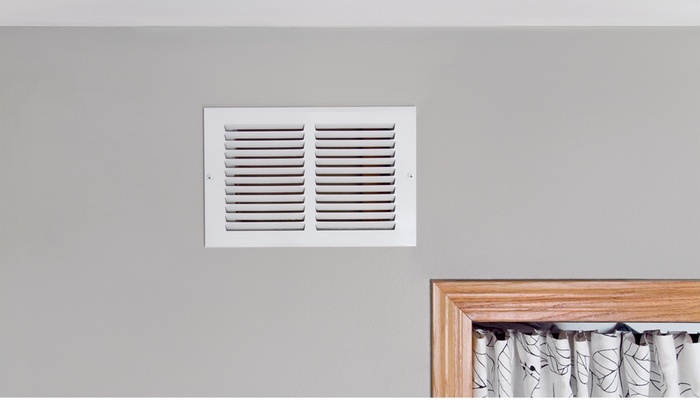 Why Is My Air Conditioner Making a Whistling Noise?